AZ Election Results ~ Release the Snoopy!!! The Be the Wave Tsunami was VERY REAL in AZ!! Nationally, Democrats suffered disaster in the general election. In Arizona, it was even worse. Republicans rode a tsunami of voter discontent to wrest away seats from Democratic members on Nov. 2, likely increasing veto-proof control of the two chambers of the Legislature. David Shweikert won his rematch with Democratic U.S. Rep. Harry Mitchell, taking back one of the GOP’s most coveted seats of the election cycle. AZ looks like a real sweep for the GOP!! AZ-05 DAVE SCHWEIKERT WINS!!!!WOOT!!!!!11!! by over 10%~ 15,000 votes! November 2, 2010. 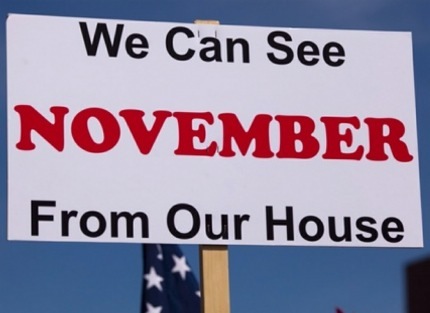 Tags: AZ Affirmative Action Ban, AZ Elections, AZ Healthcare Freedom Act, AZ Midterm election results, AZ races, AZ Secret Ballot labor, Conservative Politics, Dave Schweikert Harry Mitchell race results AZ 05, GOP Politics, Jan Brewer, Tea Party Patriots. Economy, Healthcare, Obama Administration, Popular Culture, Taxes, Unemployment Statistics. Comments off. RUSH: To the phones we go. Scottsdale, Arizona, this is Gina. Thanks for waiting, Gina. I appreciate it. You’re up first. CALLER: Hey, Rush. It’s great to speak to you but you’re killing me with the Reverse Operation Chaos this morning. CALLER: — people to come out and help, and I just think with the margin of cheating we need the recovering Democrats who will vote GOP. I don’t want them to stay home. I want them to come out and they’re gonna come out and utterly reject the Obama agenda. I think we’re going to have a tsunami. I don’t want them to stay home. (laughs) Please, come, vote GOP! RUSH: — it includes both options. CALLER: Okay. All right. So you’re just encouraging people who were supporting Hillary but you think they might still be voting Democrat to not vote? 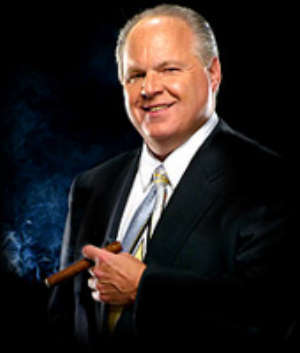 RUSH: Well, vote Republican. The key here… Look, psst? I mean, don’t tell anybody this, Gina. It’s just between us here. RUSH: But the point here is to get Democrats ticked off that Hillary got shafted. RUSH: All right. It’s to convince them the only way, the only way she has any chance is the Democrats have to go in the tank this election. Obama has said his agenda is on the ballot. It’s got to lose by landslide proportions everywhere. CALLER: Right. Oh, it’s gotta be an epic fail so that they never, ever try this again. RUSH: Right. Reverse Operation Chaos: Either don’t vote if you’re a Democrat — you know, be a Hillary potato. CALLER: But remember: In the ’08 primaries in Pennsylvania, Jimmy Hoffa, head of the Teamsters, said, “Oh, we’re going to have a big surprise for Hillary.” They could not get the rank-and-file to vote Obama then. RUSH: Right. Well, but that was then and this is now. October 28, 2010. Tags: 2010 elections, 2010 midterm elections, Be the Wave 2010, blue collar Democrats, Conservative Politics, Economy, ginaswo Rush, GOP Politics, Hillary Democrats, moderate Democrats, Rush Limbaugh, Talk Radio, Tea Party Patriots. Economy, Entertainment, journalism, Obama Administration, Politics, Popular Culture, Talk Radio, Taxes, Unemployment Statistics. Comments off. October 28, 2010. Tags: Chris Christie, Conservative Politics, deficit spending, Economy, Gov Chris Christie, Jon Corzine, liberal Democrats, limousine liberals, NJ Budget, NJ Politics, state budgets. Economy, Education, Finance, Politics, Popular Culture, Taxes, Unemployment Statistics, Wall St. Comments off. Another one who may not be as red as the right may like, but who can beat the Dem. And Jerry Brown needs to be beaten like a rug on a clothesline. Even Axelrasputin has embraced Rahm’s policy of recruiting conservaDems to try and hold seats, the GOP needs to win the battle so we can fight the war and restore the economy from 2010 to 2012, or at least hold the line on the destruction the Democratic spending tsunami has wrought. A new Public Policy Polling survey in California shows Meg Whitman (R) with a big lead over over Steve Poizner (R) in the Republican primary for governor, 51% to 26%. One poll showed the race tightening a couple weeks ago, but it appears to have been an outlier. May 25, 2010. Tags: CA GOP Primary, CA Governor race, CA Politics, California GOP Gubernatorial primary, conservative Democrats, Conservative Politics, Economy, GOP Politics, Meg Whitman, moderate Republicans, Steve Poizner, Taxes, Unemployment. Economy, Finance, Obama Administration, Politics, Popular Culture, Taxes, Unemployment Statistics, Wall St. Comments off. I think Carly can beat Boxer and DeVore can’t. As blue as Massachusetts is Cali. We need Carly for the win IMO. Carly Fiorina, a U.S. Senate candidate in California, discusses one of her core principles on Fox Business News: her decision to sign the No New Taxes Pledge. Fiorina is one of two candidates in U.S Senate race to unequivocally stand on the side of taxpayers by signing the Taxpayer Protection Pledge sponsored by Americans for Tax Reform. Carly’s positions on taxes and spending stand in stark contrast to that of her primary opponent Tom Campbell. Campbell has repeatedly refused to sign the Pledge and has a questionable record at best. He’s called for a number of tax hikes over the last several years as a candidate for governor and Senate. For more information on the Pledge, Carly Fiorina, and/or Tom Campbell, please visit www.atr.org. May 25, 2010. Tags: Barbara Boxer, CA Senate race, California economy, California small business, California taxes, Carly Fiorina, Conservative Politics, Economy, moderate Democrats, tom campbell. Economy, Finance, Obama Administration, Politics, Popular Culture, Taxes, Unemployment Statistics, Wall St. Comments off. Gov Chris Christie for POTUS!!! I can haz for POTUS?! Pleze!?! May 14, 2010. Tags: Conservative Politics, deficit spending, Economy, GOP Politics, Gov Chris Christie, Media Bias, moderate Democrats, NJ Politics. Economy, Finance, journalism, Politics, Popular Culture, Taxes, Unemployment Statistics. Comments off.